Craig Gentry, of homomorphic encryption fame, won a 2014 MacArthur Genius award. here is an article about it and a description of his work, which is understandable to most non-genius's. It is great work and I am glad to see the work and him honored. Have other computer scientists won it? Yes. Have other CS theorists won it? Yes. Here is a list, though it may be incomplete: Peter Shor (1999), Erik Demaine (2003), Jon Kleinberg (2005), Daniel Spielman (2012). Jacob Lurie who does very abstract mathematics, also won a 2014 MacArthur genius award. He won the Breakthrough prize earlier (3 million dollars) and the MacArthur (650,000) so he owes me 3650 lunches (I mentored him in HS and hence get a free lunch for every 1000 he wins). Here is an article about it and a description of his work which is not understandable even to most math genius's. 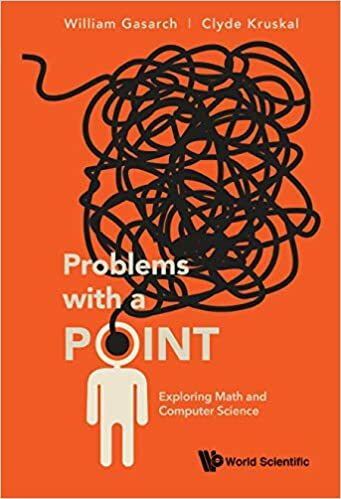 Its not the articles fault- its just very hard to describe very hard and deep mathematics unless you can relate it to a very concrete thing like crypto (or other applications) or some things in number theory- you can at least tell someone the statement of Fermat's last theorem. I am sure its great work--- he seems to be generalizing math to an unprecedented degree. Note that the generality does pay off to solve real problems, for example this paper. Yitang Zhang, who proved that there is a constant c such that infinitely often there are primes that are c apart (he proved c ≤ 70,000,000 but its been gotten down to 246 - see here) also won the 2014 MacArthur genius award. While the proof is hard the result can be explained to anyone. See here for an article about his prize and his result. Have other mathematicans won it? Yes, around 31 total including the two this year.Two that I will note- Terry Tao and Andrew Wiles. FYI, to make a word plural in English, you can usually add an 's'. For example, word -> words! If the word already ends in an 's', well, that is very complicated for first graders. You are not a genius, but try to figure it out for yourself! Daniela Rus won in 2002. Finally a positive "security related" news :) Congratulations to Dr. Craig Gentry on this award. Fully homomorphic encryption algorithms will play a major role in security and privacy of user's personal data. A dream come true for "Habeas Data" i.e. the right to own your data. Maryland Theory Day October 10! How hard is changing fields? Ask Sheldon!